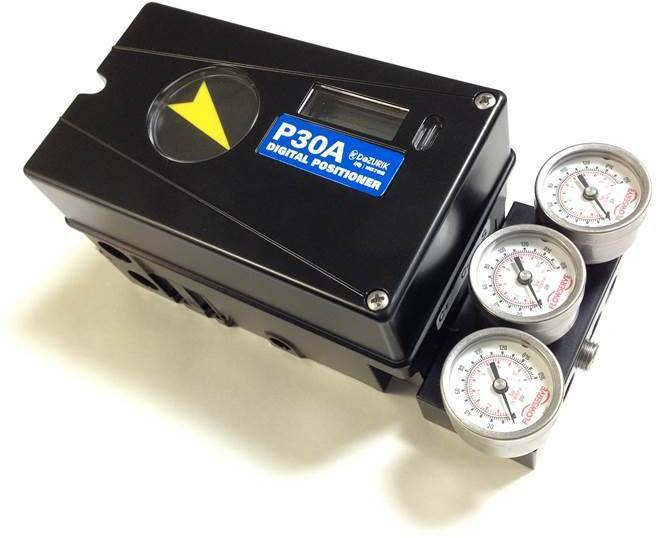 The DeZURIK P30A Digital Positioner series offers intelligent and reliable valve control. The P30A is a robust, intelligent positioner with very high air capacity. Based on proven digital technology, it features a large, high-performance spool valve controlled by a unique intelligent control algorithm. It has a compact modular design and can be used with either single or double acting actuators. It is available with 4-20 mA / Hart communication plus a range of optional integrated limit switches and continuous position feedback. The housing is weatherproof in accordance with 4X/IP66.